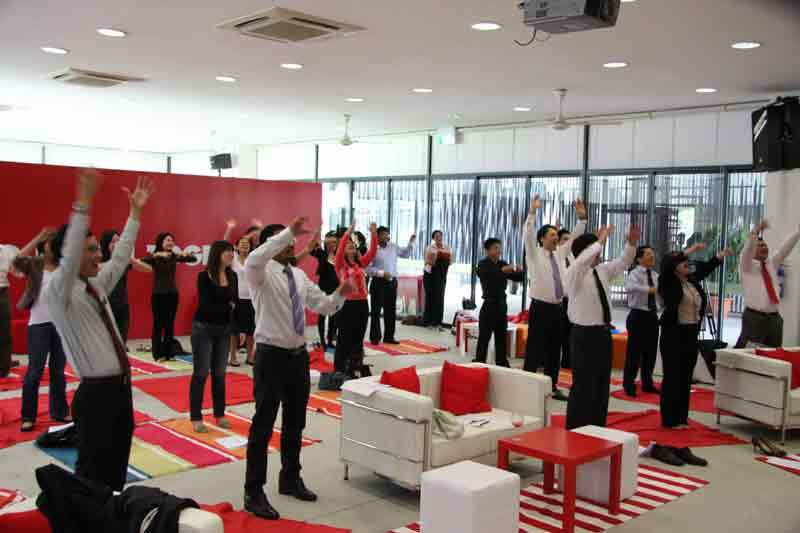 Dr Kajal conducting a Laughter Yoga Workshop at a campaign to debut SoyJoy, a new fruit and soy brand in the Singapore market. 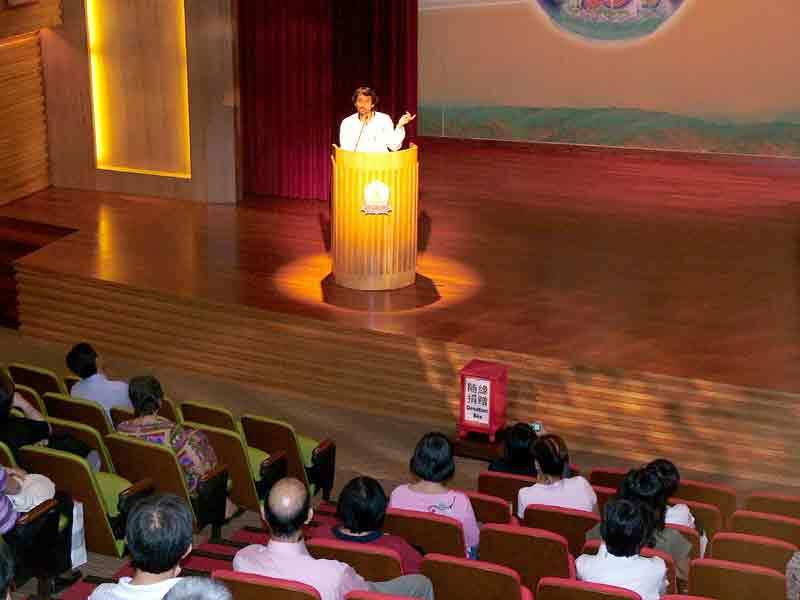 Dr Kajal giving a talk on The Science and Philosophy of Yoga at the Buddha Tooth Relic Temple in Singapore on 26 July 2008. 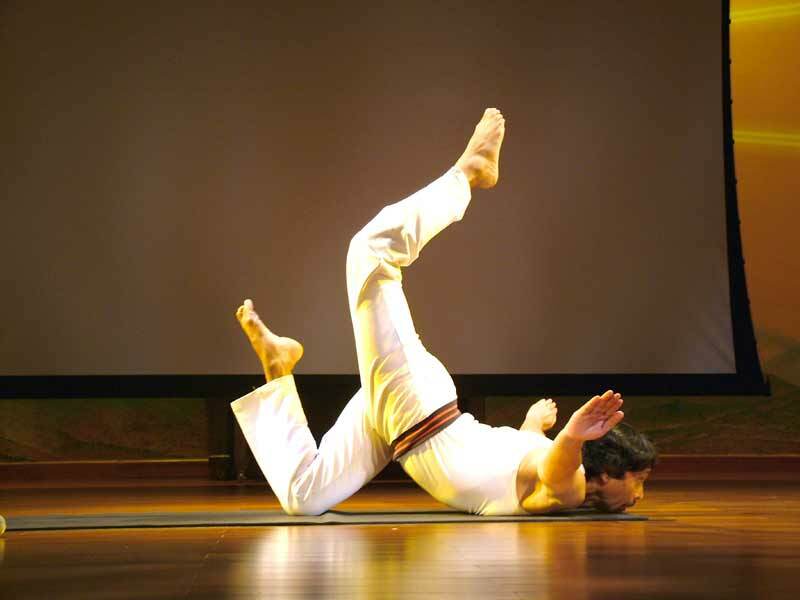 Dr Kajal giving a yoga demonstration after his talk on The Science and Philosophy of Yoga at the Buddha Tooth Relic Temple in Singapore on 26 July 2008. 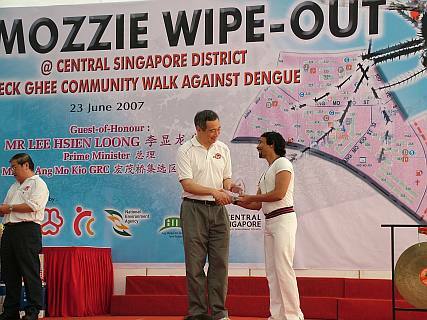 Dr Kajal receiving award from the Singapore Prime Minister, Mr Lee Hsien Loong before his yoga demonstration. 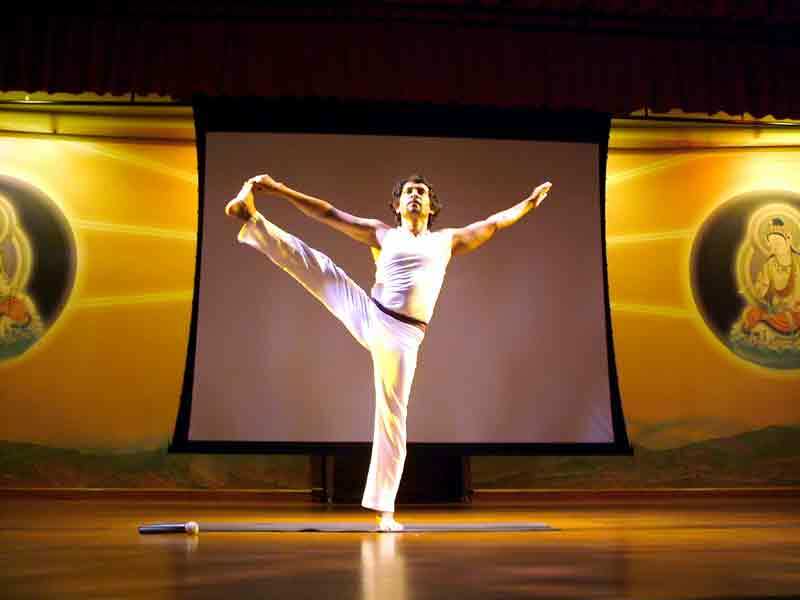 Charcoal Potrait of Dr Kajal in yoga postures exhibited at an Art Exhibition held at Suntec City, Singapore. 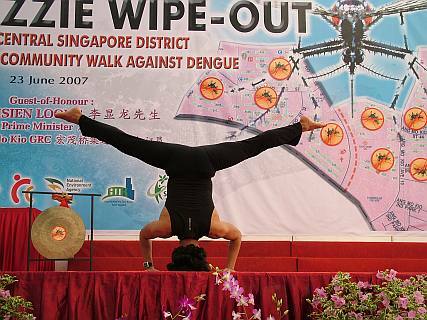 The Artist is Mr Chua Koon Beng.